I’ve had the @IAMDANDC account on Twitter for 2 or 3 months now and of course the people who follow that account are varied. There have been some writers, comedy clubs (no I don’t do standup) and a wide group of miscellaneous. Today though was the strangest and or coolest. 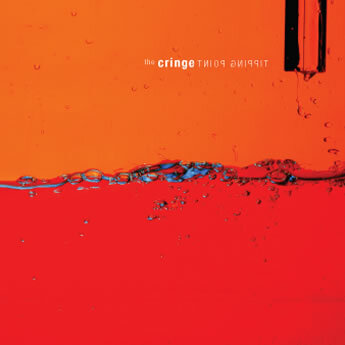 I got followed by a band called “The Cringe” (Twitter name @thecringe). Now if they were a 70’s cover band I would understand. But they are based out of New York and record contemporary music. After following them back, I went to their Website – www.thecringe.com and was checking them out and I knew one of the band members looked familiar. I’m thinking where do I know this guy from? So I clicked on the “about” tab on their website and started reading their bios. One of the names ALSO seemed familiar but 1+1 was not equaling 2 yet. But I assumed the familiar name matched the familiar face. So of course I went to google and googled the name. This guy who is their lead vocalist and one of the guitar players – IS MARRIED TO RACHAEL RAY FROM THE FOOD NETWORK!! I knew I recognized that dude. Check em out and if you are in New York City maybe stop in at one of their dates – which are listed on their website or follow them on Twitter.